I'm here today with a set of four star inlay cards showcasing components from the Simon Says Stamp August 2016 Card Kit. I created a set of four vented star cards with the papers, cardstock, stamps, and die from the kit and other exclusive Simon Says Stamp dies. You can pick up the August 2016 card kit HERE for just $29.95 + shipping. Or if you’d like to receive this kit and future kits for only $24.95 + shipping per month, you can SUBSCRIBE HERE. When you subscribe you will receive kits delivered to your door automatically. To create the background panels for each of the cards, I used a Stitched Rectangle Die and the Vented Star Die die cut from the Tim Holtz Motif Resist papers in the kit to create the inlay panels. Additional star pieces were die cut from the Lipstick Red, white, and Soft Navy cardstock included in the kit using the Vented Star Die. Foam adhesive strips were applied to the back of each panel, completely covering the back of each. I replaced the red, white, and blue cardstock star pieces using the foam adhesive as the adhesive for the inlay design. I love this technique as it allows not only a dimensional panel for the card but provides adhesive for the inlay. Banners were die cut from white cardstock in the kit using a Basic Banners Die. Greetings from the Seeing Stars Stamp Set from the kit were stamped on each banner using Soft Navy and Lipstick Red Inks. Each banner was adhered under the inlay star design. Stick It was applied to both sides of a piece of Fun Foam. I removed one side of the backing paper and applied some white cardstock from the kit to the Fun Foam before die cutting the Painted Hello greeting. The other side of Stick It was removed and the dimensional greeting attached to the card front as shown. To finish each card I die cut a bunch of stars from the navy and red cardstock using Holiday Shapes Dies and the Large Holiday Shapes Dies and scattered them throughout the design. The foam tape was removed from the back of each panel and then each was attached to a top fold card base. Click the thumbnails below to purchase from Simon Says Stamp. Affiliate links used. Today the Mama Elephant Design Team is showcasing the new Hello Friend Wishes Stamp Set. I've created a set of rainbow colored hello themed cards using the embossed resist technique. I love the bold and bright Distress Ink colors. My cards were inspired by these amazing tag mini cards by my friend Jennifer McGuire, however Jennifer has many more techniques and advice on her blog. 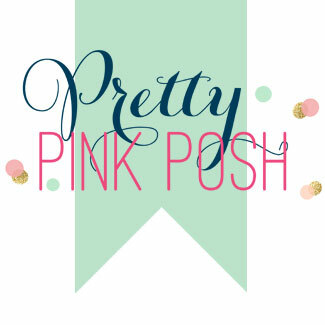 Be sure to visit her blog HERE for more ideas. I die cut several rectangles and frames from smooth white cardstock using the Dotted Detail Frame Die. I stamped the large scripty "Hello Friend" greeting from the Hello Friend Wishes Stamp Set with the Lawn Fawn Black Licorice Ink. I used the MISTI for precision stamping each time. I cleaned the stamp really well and stamped the greeting again using Versamark Ink, then I slightly shifted the paper and stamped the greeting again with Versamark Ink. I heat embossed the greetings with clear embossing powder. I applied Distress Ink over each of the embossed greetings using Picked Raspberry, Festive Berries, Spiced Marmalade, Squeezed Lemonade, Twisted Citron, Peacock Feathers, and Blueprint Sketch Inks. I placed the Simon Says Stamp Swirls and Dots Stencil over each background for a tone on tone look. The Versamark Ink and embossing powder around the greeting give a great dimensional effect to the large greeting. I stamped additional phrases from the Hello Friend Wishes Stamp Set on black cardstock strips using Versamark Ink and heat embossed with white embossing powder. I adhered the embossed resist panel to the center of a top fold card base and adhered the Dotted Detail frame around each panel before adhering a black embossed greeting strip along the bottom of each panel. Each card was finished with a scattering of Pretty Pink Posh sequins, Hero Arts pearl gems and tiny, tiny clear gemstones. Click SSS or ME below the thumbnails to shop the entire June Mama Elephant release. Affiliate links used. Simon Says Stamp is having a great sale on Tim Holtz products: Save 20% on all Tim Holtz products now through July 26th. Use code: TimRocks. Welcome to Day 3 of my last minute Handmade Holiday 2015 Series! I'm back with another year of last minute handmade ideas! Even with the craziness of the season I like to be able to add handmade touches to gifts for our friends and family. All this week I'll be sharing quick (an hour or less) Handmade Holiday ideas for cards, tags and gift wrapping sure to add that handmade touch we all love. Most ideas will include multiples (today I created a set of 4 gift card holder cards with matching envelopes)! In addition to sharing Handmade Holiday projects all week, I am extending this year's series by two days for a total of seven days of inspiration! 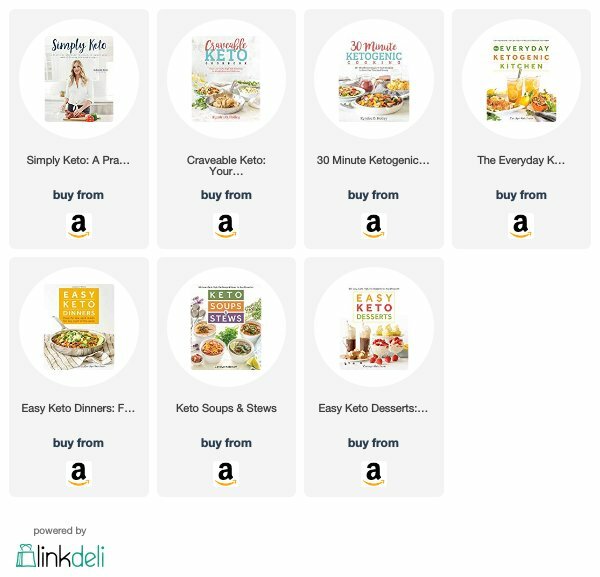 Plus, I am especially excited to share that after reaching out to several companies and online stores, there are amazing GIVEAWAYS each and every day plus a great coupon code from Ellen Hutson that you can use all week long at EllenHutson.com! 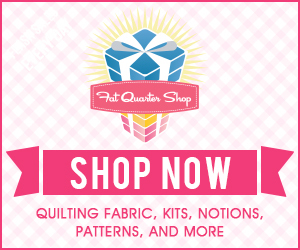 Use coupon code handmadeholidays for 10% off all in-stock items between December 14-17. On Monday, I shared a set of six small gift card envelopes perfect for gift giving. These work great when you can hand the recipient the gift. How about if you need to pop the gift card in the mail, though? Today I have a set of four small 4 bar sized gift cards with die cut gift card slots inside and matching envelopes. These cards make popping a quick holiday gift in the mail so very easy. When the recipient receives the mail they not only get a gift card to a favorite store but a cute handmade card! To create the cards, I stamped the images from the Winter Friends Stamp Set on smooth white cardstock using Memento Tuxedo Black Ink and colored in the images with Copic Markers. I die cut the images with the coordinating Cold Weather Friends Dies. I added additional detail to the images with the Wink of Stella Clear Glitter Pens, Glossy Accents, the Sakura White Gel Pen, and the Sakura Black Glaze Pen. I die cut frames for the 4 bar sized gift cards using two of the new Lawn Fawn 4 Bar Stitched Rectangle Dies. I kept both the frame and the inside solid rectangle and die cut snowy borders with the Simon Says Stamp Stitched Slopes and Hills Border Die. The frame is exactly the size to fit the entire front of a 4 bar card (4 7/8 inches x 3 1/2 inches). I die cut another inside panel from watercolor cardstock and applied Blueprint Sketch Distress Ink to each rectangle. I spritzed each with water from a Distress Sprayer, let it sit for 30-60 seconds and then dabbed up the water with a dry paper towel. Once the background was dry, I stamped greetings from the Simon Says Stamp Holiday Hellos Stamp Set with Lawn Fawn Black Licorice Ink. I adhered the snowy background to the center of a 4 bar sized gift card and adhered the snowy border along the bottom. I adhered one of the stamped, colored, and die cut images to the scene. I adhered the frame with foam adhesive for a lovely dimensional look. A scattering of Pretty Pink Posh Sparkling Clear 4mm and 6mm sequins finish the outside of the cards. For the inside of each card, I die cut smooth white cardstock with a Lawn Fawn 4 Bar Stitched Rectangle Dies and a Simon Says Stamp Gift Card Slots Die. I stamped an additional greeting from the Simon Says Stamp Holiday Hellos Stamp Set on the inside panel and then adhered the panel to the inside of the card. For the matching Lawn Fawn 4 bar white envelopes I stamped a frame, bow, greeting, and snowflakes from the Simon Says Stamp Holiday Envelope Sentiments Stamp Set on the envelope using Lawn Fawn Lobster Red Ink and Black Licorice Ink. Please leave a comment on this post for a chance to win a $100 gift certificate to the Simon Says Stamp Store! Comment must be left by December 20, 2015, 11:59 CST. Winners for the week will all be notified via email and posted on the blog on December 21, 2015. 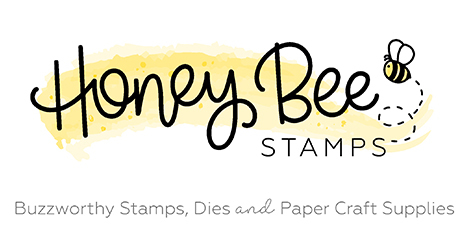 A huge thank you to Simon Says Stamp for sponsoring the giveaway today! Don't forget to use coupon code handmadeholidays for 10% off all in-stock items between December 14-17 at www.ellenhutson.com. *This is 1 of 2 posts today. For the Lawn Fawn Father's Day card blog post, click HERE. I always love a good set of notecards and the new Sunday Sentiments Stamp Set from Mama Elephant is the perfect greeting stamp set to mix and match to create fabulous custom greeting card sets. I added some stamped and colored images from the new Sunday Stroll Stamp Set and a striped border from the Boutique Borders Stamp Set to complete these simple thank you cards. The Avery Elle Folded Cards from the Sugar Collection, Lucky Collection, and Citrus Collection make the perfect card bases for these simple thank you's! The MISTI Stamping Tool made stamping both the striped border from the Boutique Borders Stamp Set and the greeting border from the Sunday Sentiments Stamp Set so super easy! They stamp in the same place each and every time. The girl and dog images from the Sunday Stroll Stamp Set were stamped on smooth white cardstock using Antique Linen Distress Ink and colored in with Copic Markers. The individual marker colors are linked below in the supplies. Once the images were colored in, I die cut all five girls and dogs with the coordinating Sunday Stroll Creative Cuts dies and adhered them to the front of the cards. 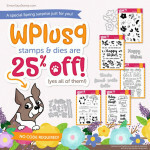 The inside of each card is stamped with an additional phrase from the Sunday Sentiments Stamp Set and the cards are finished by rounding all four corners with the 1/2" corner chomper. The letters below the thumbnails below link to stores where you can purchase the products shown in this post and video: SSS = to purchase from Simon Says Stamp, EH = to purchase from Ellen Hutson, ME = to purchase from Mama Elephant. Affiliate links used. 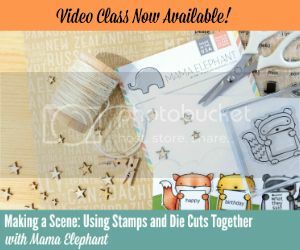 The True Stamp 2015 Individual Classes are now available for purchase, including the Mama Elephant Making A Scene class taught by me! The classes include both the project-only video (around 30 minutes) and the full, "Like You Were There" video (around 60 minutes). From June 15 through Monday, June 22, get these inspiring video classes for only $9.95 through midnight on 6/22. Love stamping? Get the entire event, all six classes for only $39 (that's $6.50 each) with the code "SUMMER" at checkout through 6/22. After 6/22, the price will increase to the regular $14.95 per class. *This is 1 of 2 blog posts today. For the Simon Says Stamp Better Together Blog Hop, click HERE. Today the Mama Elephant Design Team is showcasing the new Merci Stamp Set. I created a set of three almost single layer thank you cards by combining the Merci Stamp Set with the Sew Fancy Creative Cuts dies and the Many Thanks Stamp Set. To create these cards I first die cut white cardstock usin the large A2 sized die from the Sew Fancy Creative Cuts dies. I stamped the "thank you" greeting from the Merci Stamp Set using the ME Dark Storm Pigment Ink. I stamped a coordinating thank you phrase underneath from the Many Thanks Stamp Set. I stamped the florals and leaves from the Merci Stamp Set using ME Lemongrass Pigment Ink, ME Tutti Frutti Pigment Ink, ME Sweet Lilac Pigment Ink, and ME Fresh Mint Pigment Ink. I added an enamel dot to the center of each floral to finish the cards. Try recreating these cards with the other sentiments in the Merci Stamp Set and other color combinations for completely different looks! Gift sets of cards are one of my favorite go-to gifts for teachers, mothers, friends, etc. and the Lawn Fawn Notecards are the perfect fun size to make multiple cards for gift sets! I created a set of five cards using the five colors of notecards. Each card is the same exact design but just a different color with a different greeting from the new Chit Chat Stamp Set. I die cut a stitched card from vellum using the Stitched Journaling Card Lawn Cuts (it's my favorite go-to for these Lawn Fawn Notecards as it fits in the center of these cards perfectly). I added some die cut clouds from the Spring Showers Lawn Cuts die set (both in front and behind the vellum for dimension) and finished with a stamped and embossed greetings on vellum from Chit Chat as well as stamped birds colored in with Spectrum Noir colored pencils. Every gift card set needs a pretty package to gift it in, right? I die cut this fun envelope on my Silhouette Cameo using Kerri Bradford's Envelopes Cut File Kit. I cut the pieces from Lawn Fawn Let's Polka 12x12 paper and secured them together with washi tape at the seam. I created a cutsom tag by stamping the smaller of the two tags from LF Birthday Tags on vellum and embossing it with white powder. I added rolled a cardstock rose floral created using the MFT Rolled Rose Die to the tag and die cut some felt leaves using the LF Our Friendship Grows Lawn Cuts dies. I created the yellow floral by die cutting four scalloped circles using the LF Scalloped Circle Stackables Lawn Cuts dies and folding them in half and then in half again to form a "flower". A gemstone pearl in the center finishes the flower. The remaining flower is layered sequins from the LF Hello Sunshine Sequin mix. The felt "k" was die cut using the brand new Louie's ABC's and 123's Lawn Cuts dies (I have another project with these coming Tuesday!). Tuck in the notecards and the coordinating Lawn Fawn Envelopes, tie it up with some pretty LF Coral Trimmings Twine and the tag and this little gift is ready for a special friend! To see all the LF Design Team projects showcasing the Chit Chat Stamp Set and coordinating dies, please click HERE.